I attended training for the new Primary Languages Curriculum yesterday. The focus for this year is on the Oral Language (Teanga Ó Bhéal) strand for classes from Junior Infants to Second Class, while next year will see training of some sort in the Reading and Writing strands. An overview of this new curriculum is available here. From the outset, it appeared that the facilitators were eager to address the concern that many viewed this new document as merely an assessment checklist, with individual tracking for each pupil. They pointed out that this was not the case and that the Milestones (from ‘a’ to ‘h’) were not to be applied to each pupil, rather they were to be applied to the class from a general perspective of where the group as a whole is currently at, with other milestones only being used specifically where differentiation was required. This was some relief. The next clarification was that long-term and short-term planning does not need to change straight away. We are to continue planning as we normally would and to continue teaching as we normally would. This makes sense as it would be a complex task to rethink a curricular area in such a manner with just over one term left in the school year. It wasn’t all positive unfortunately. I was particularly unimpressed with how the Gaeilge elements were presented. I heard nothing that teachers didn’t already know from the 1999 Gaeilge curriculum. 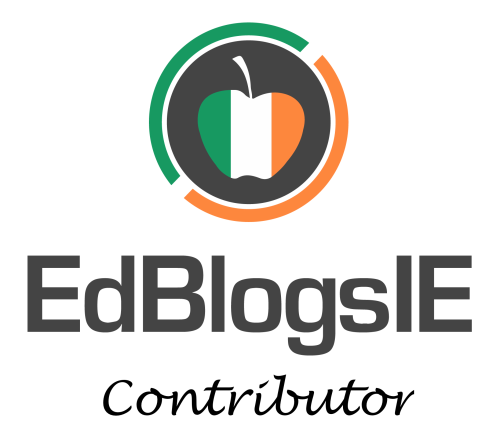 “Make Irish interesting” was put forward as the answer to teaching it effectively – this isn’t new thinking! There will always be challenges when teaching Irish, and in fairness, a question on this was put to participants. School and local context will always decide whether you have an easy or a tough time teaching Irish. This point was acknowledged but not dealt with in any depth. We were shown some videos of activity in a classroom, which looked normal. What I found unrealistic were the follow-up videos where the teacher was asking questions of individual children in order to assess what oral language milestone they were at. I call this unrealistic because I couldn’t hear the sound of any other children in the background. Where were they? What teacher could assess like this on an individual basis with a large number of pupils in her class? If a video of an unrealistic situation is being shown to me during a training day, I can only deem that particular element of the training to be without merit. Idealistic and realistic are two completely different things. When it comes down to it, I won’t be teaching a curriculum, I’ll be teaching children. I will continue to use my professional judgement whenever the situation requires it. All this curriculum does is ask us to look at things from a slightly different angle. Teachers have always done this – it’s nothing new to us.